Dental implant restorations provide many advantages to patients who need to replace missing teeth. Benefits include preserving the jawbone, not involving adjacent natural teeth, retaining and stabilizing dentures, and providing natural looking and feeling replacement teeth. Dr. Johnson often recommends implant-retained dentures as a stable and lasting alternative to traditional dentures. In these cases, he will partner with leading specialists, such as oral surgeons, while overseeing the entire treatment process. When a tooth is missing, the section of the jaw that supported the tooth atrophies. The remaining teeth have an increased workload. To balance the load, teeth shift which can cause spaces between teeth, food impaction, and tooth decay. Up to 19% of adjacent teeth are lost as the result of a missing tooth. The most popular replacement options are partial dentures, bridges, or implant restorations. Removable partial dentures have clasps that attach to surrounding “abutment” teeth, which carry the load of the missing teeth. This option is popular since it is the least expensive, however in a broader scope patients may actually have to spend more time and money to replace additional teeth that are lost in time. Fixed bridges require reduction of abutment teeth, so that they can be fitted with crowns (or caps). The replacement tooth is secured to the crowns and literally bridges the gap between the abutment teeth. 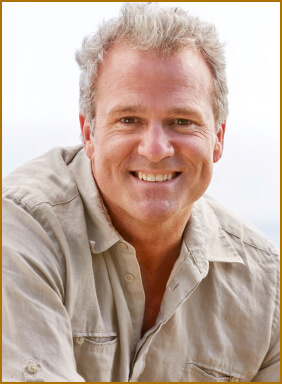 Dental implant restorations replace the missing tooth's root as well as the crown. Dental implants do not require support from adjacent teeth, and they keep the jawbone strong as it supports the implant tooth. Dental implant restorations have a success rate of 95 to 98%, and can also be used to secure partial and complete dentures, or bridgework.